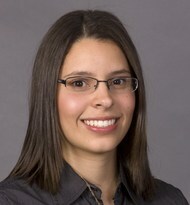 Diamilet Perez-Betancourt Awarded the 2011 David Sankey Minority Scholarship in Meteorology. 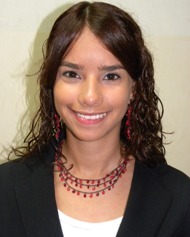 Diamilet Perez-Betancourt of Carolina, Puerto Rico is the winner of the 2011 NWA David Sankey Minority Scholarship in Meteorology. Diamilet is a senior at the University of Puerto Rico at Mayaguez. This marks the second year in a row that a student from UPR at Mayaguez has been awarded this scholarship. Diamilet’s dedication and drive towards her goal of becoming a tropical meteorology researcher are evident and recognized by her professors. A top student who has maintained a 4.0 GPA during her undergraduate studies in college shows her outstanding qualities as a student. She is focused on entering graduate school with the ultimate goal of receiving a Ph.D specializing in tropical meteorology. She has been the recipient of grants and scholarships and received a 1st place award for her poster presented at the NOAA Educational Partnership Program Education and Science Forum in 2010. 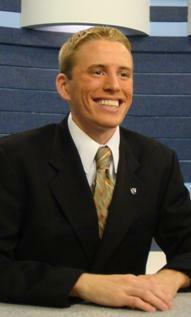 Kyle Borchert of Akron, NY has been awarded the 2011 NWA Broadcast Meteorology Scholarship. Kyle is a current senior at Penn State University. This marks the second year in a row that the Broadcast Scholarship has been won by a student from Penn State. Kyle has demonstrated an impressive talent and desire to pursue a professional course which will lead to a position in the broadcast meteorology part of our profession. In addition to excelling in academic work in the classroom, he performed a very successful internship at WKBW-TV in Buffalo, NY last summer. The station’s chief broadcaster praised Kyle’s abilities and enthusiasm and noted that he “stood head-and –shoulders above the others”. The others being the 10 previous interns serving at the station. Kyle is a strong leader who served in leadership positions in the Penn State AMS/NWA student chapter. This included serving as chapter president during his junior year. 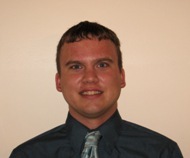 Eric Hout of Aberdeen, South Dakota is the recipient of the 2011 NWA AccuWeather Undergraduate Meteorology Scholarship and currently is a senior at the South Dakota School of Mines and Technology. This marks the first time a student from SDSMT has won a NWA scholarship. Eric is an outstanding scholar who has earned an overall GPA of over 3.8. He has been recognized by faculty members as one of the overall strongest performing undergraduate students they have seen in years. 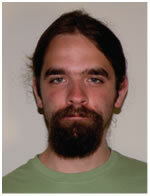 Eric has been awarded several prestigious awards and was a 2010 NOAA Ernest Hollings undergraduate scholar. Additionally, he participated in the National Weather Center Research Experiences for Undergraduates Program in Norman, OK over the summer of 2010. As a result of this project, he presented his research results at the AMS 25th Conference on Severe Local Storms in Denver in the fall of 2010. Eric’s professional goal is to become a National Weather Service Warning and Coordination Meteorologist. In addition to doing good science and providing excellent warning services, Eric wishes to explore and develop improved ways to communicate the message in the most effective way to both the public and decision makers. He is preparing himself well for this goal by being recognized as a top performer in his technical communications skills classes and won a prestigious university writing award. 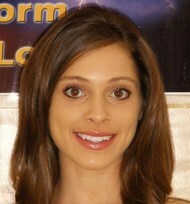 Samantha (Sam) Santeiu of Dearborn Heights, MI is the winner of the 2011 NWA Dr. Roderick A. Scofield Meteorology Scholarship. She is a senior at Iowa State University and is focused on entering graduate school after graduation. Samantha is truly an exceptional student, both inside and outside of the classroom. A top student with a GPA approaching 4.0 (3.80 all subjects, 3.97 in major), she has also strived to extend here undergraduate experience beyond the basic requirements. During the summer of 2010, she was selected as one of four undergraduates from over 100 applicants to participant in a National Science Foundation grant to investigate aspects of lake-effect snow. This research was conducted at Hobart & William Smith Colleges in Geneva, NY. She received strong reviews from the professors not only for her strong research abilities but also her abilities to communicate and to positively interact with peers and professors. Samantha has shown strong leadership abilities by participating in several professional groups including the Central Iowa NWA Chapter and the ISU AMS student chapter plus two honor societies. She is currently serving as the vice-president for the student chapter. Samantha has also served as a student mentor for two ISU programs. 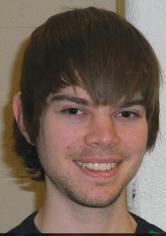 Joshua Alland of Apple Valley, MN, was awarded the 2011 NWA Phillips Family Undergraduate Scholarship in Meteorology. A junior attending Iowa State University, Joshua joins fellow Iowa State student Samantha Santeiu as one of the winners of 2011 NWA scholarships. Joshua is a top performing student who is highly respected by the faculty, participates in several leadership and professional development activities, and has a strong desire to “make a difference” in the world as a meteorologist. His goal is to collaborate with the brightest scientists and politicians as all strive to address the challenges of global climate change. He is a NOAA Hollings Undergraduate Scholar, a member of the Iowa State honors program and several dean’s lists, and other extracurricular academic activities. His overall GPA is 3.50 with a noteworthy 4.0 GPA in meteorology. Joshua’s talents were identified early in his college career as he was selected to participate in the Spring 2010 freshman Honors program. In this program, he conducted research to develop a composite picture of days with extreme precipitation in the central U.S. He worked well independently and prepared a well-received report summarizing his findings. He has demonstrated strong leadership traits by serving as a teaching assistant for an introductory meteorology course and by holding the office of academic chair for the campus AMS chapter. Additionally he offers individual study sessions and holds review sessions to help fellow students with academic challenges. 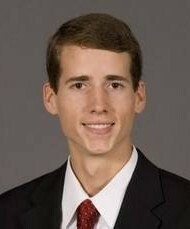 Congratulations Joshua for winning the 2011 NWA Phillips Family Undergraduate Scholarship! 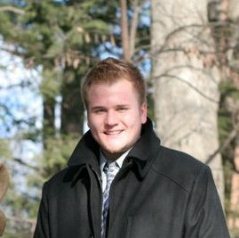 Alex Wovrosh of Eastlake, Ohio and a senior at Ohio University was awarded the 2011 NWA Arthur C. Pike Meteorology Scholarship. A top performing student (overall GPA 3.59 with a 3.90 in meteorology), Alex also has demonstrated traits and performances of one who will be a leader in the profession of meteorology in the future. As a NOAA Hollings scholar, he interned at the National Severe Storms Lab (NSSL) in Norman, OK, during the summer of 2011 where he worked diligently on a research project that involved the tuning and testing of software to automatically detect and track storm cells in radar data. The results of his NSSL work are improvements which have been implemented in software used by dozens of research institutions worldwide. As a sophomore, Alex was hired as a research assistant and worked on a project investigating a semi-permanent area of low pressure off Antarctica. The results of his research were so successful that he received NSF funding to attend a scientific conference in Argentina where his poster was judged to be the conference best. in research climatology. One of Alex’s professors states that he is “…simply years ahead of the pace of the typical meteorology student.” Congratulations to Alex Wovrosh for winning the 2011 NWA Arthur C. Pike Meteorology Scholarship! NWA Meteorological Satellite Applications Award Grant: - Lauren Slawsky, University of North Carolina – Charlotte. 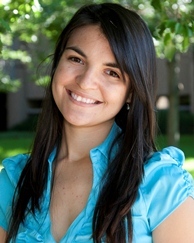 Rosimar Rios-Berrios Awarded the 2010 David Sankey Minority Scholarship in Meteorology. Rosimar Rios-Berrios of Barranquitas, Puerto Rico, and a senior at the University of Puerto Rico at Mayaguez is awarded the 2010 David Sankey Minority Scholarship in Meteorology. In addition to being an outstanding and focused student, she has demonstrated leadership as president of a youth cooperative. Rosimar’s academic credentials are unsurpassed. As a major in physics with a minor in meteorology, she has an overall GPA of 4.00. She plans to use her strong undergraduate credentials to pursue a Masters in Meteorology. Her list of scholarship and other awards is lengthy and most impressive. 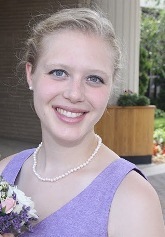 Rosimar was selected to participate in two significant summer opportunities with NOAA. The summer of 2009 was spent with NOAA/NWS Meteorological Development Laboratory with the summer of 2010 being spent at NOAA’s Hurricane Research Division in Miami. She distinguished herself during her short time at MDL and impressed both laboratory and office directors. Her extracurricular activities include being an active member of the UPRM AMS student chapter, performing outreach activities, and publication of weather briefings on the Internet (Juracan TV). Her demonstrated leadership abilities outside of meteorology are most impressive. She helped establish and served as president of a community youth cooperative, Juvencoop, which, among other things, stressed in the importance of starting a savings account at an early age. The NWA Education Committee received 15 applications from outstanding students across the country for this annual scholarship award. Best wishes to all individuals who applied! Congratulations again to Rosimar Rios-Berrios! Adam Del Rosso of Pittsburgh, Pennsylvania is awarded the 2010 NWA Broadcast Meteorology Scholarship. Adam is a senior at Penn State University. One word seems to sum up Adam, that being “enthusiastic”. In addition to pursuing academic excellence (his overall GPA is 3.74 which includes a GPA in meteorology of 3.96), he is focused on excelling in the broadcast arena. He is in charge of the Campus Weather Service’s video division and participates in a daily weather show. He also forecasts for a web site forecasting service. He spends time learning how to make the best use of graphics which is, of course, vital to a successful broadcast production. Adam strives to be a teacher and wants to use a career in broadcasting to help educate the public. The NWA Education Committee received 18 applications from outstanding students across the country for this first annual scholarship award. Best wishes to all individuals who applied! Congratulations again to Adam Del Rosso! 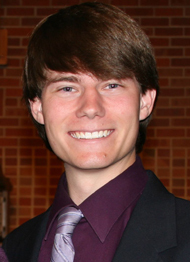 Ayrton Bryan of Fayetteville, Georgia, and a sophomore at Texas A&M University is awarded the 2010 AccuWeather Inc., Undergraduate Scholarship in Meteorology. Ayrton is a focused and talented sophomore who has already excelled in both the academic and extracurricular aspects of college life. During his freshman year, he carried a GPA of 4.00 in all subjects. However, he certainly is not restricting his efforts and talents just to the classroom. He was invited to participate in undergraduate research involving two professors. It is most noteworthy that he traveled on his spring break early in 2010 to Seattle, Washington to interact with a group at the University of Washington to further pursue his research in creating a climatology of concentric eyewalls using TRMM Precipitation Radar. In addition to pursuing a PhD in meteorology, Ayrton plans to minor in computer science and business. The NWA Education Committee received 58 applications from outstanding students across the country for this annual scholarship award. Best wishes to all individuals who applied! Congratulations again to Ayrton Bryan! 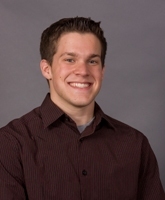 Jason Davis of Davenport, Iowa, and a senior at Valparaiso University is awarded the 2010 Dr. Roderick A. Scofield Scholarship in Meteorology. Jason truly excels as a student. His overall GPA is a sterling 3.985 which includes a 4.00 in meteorology subjects. He is a NOAA Hollings Scholar and has received numerous academic recognitions during his college career. He is viewed by one faculty member as one of the top one or two students in his class. Although most interested in summertime convection and winter weather, he has shown a great interest in all aspects of the science. It is noteworthy that he has been most active in NWA activities. Jason has served as treasurer and vice-president of the Northwest Indiana NWA Chapter and has helped organize the chapter’s Great Lakes Meteorology Conference for three years. He has been involved in several campus organizations both inside and outside of meteorology. He mentors freshmen students and volunteers for Meteorology Field Day where hundreds of local schoolchildren are exposed to several meteorological topics. Jason plans to study for his Masters in Meteorology before focusing on becoming a forecaster or applied researcher, hopefully at the Storm Prediction Center. The NWA Education Committee received 37 applications from outstanding students across the country for this annual scholarship award. Best wishes to all individuals who applied! Congratulations again to Jason Davis! Nicole Grams of Mentor, Ohio, and a senior at Ohio University has been awarded the 2nd annual NWA Cassens/Phillips Family Undergraduate Scholarship in Meteorology. Nicole knew at an early age that she wanted to study meteorology, but she had a dilemma: what area of meteorology in which to specialize. Having grown up on the Ohio shores of Lake Erie, the answer came. She would focus on hurricane storm surge! As a recipient of a prestigious National Oceanic and Atmospheric Administration (NOAA) Hollings Scholarship, Nicole spent the summer of 2010 with the storm surge forecasting unit at the National Hurricane Center in Miami. She received high praise from the storm surge team leader who acknowledged not only her strong technical skills but her ability to identify a problem and then derive creative solutions independently. Earlier in her college career Nicole was selected to participate in the National Weather Service’s Student Career Experience Program at the NWS Office in Charleston, West Va. These appointments are reserved for only the top students and she was able to participate in creating an office intranet Website, forecast training, severe weather verification, and flood stage surveying. Of course we must not forget that Nicole is a student. She excels both in and outside of the classroom. She has a 4.00 GPA in her major and a 3.59 overall GPA and is a leader who has been recognized by the faculty. Nicole has served as the chapter president of the AMS student chapter and is a mentor for underclassmen. In addition to her successes in the classroom, she has been recognized as one who applies her learning to the real world. Her 2010 summer research was fueled by the application of GIS concepts learned in her coursework. The NWA Cassens/Phillips Family Undergraduate Scholarship for Meteorology is supported by the Cassens and Phillips families led by the efforts of NWA member Ryan Phillips of Hollywood, FL. The NWA Education Committee received applications from outstanding students from across the country for this scholarship award. Best Wishes to all individuals who applied! Congratulations again to Nicole Grams! 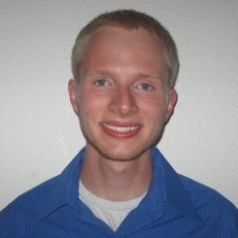 Daniel Brouillette, a junior at Northern Illinois University (NIU) from Geneva, Ill., is awarded the 2010 NWA Arthur C. Pike Meteorology Scholarship. He is a top performing student who has already demonstrated a focused view for his future. In this world of concern regarding the climate which it is being undertaken in, at times, a very contentious atmosphere, Brouillette has focused on a basic aspect of the discussion, i.e., observations. Without good observational data, any climate change discussion or position can be flawed. In 2008, he became an observer for the NWS CoCoRaHS Network of citizen weather observers. This program is providing a vital service to the country by increasing the number of high quality weather observations for the climate record. As a sophomore (usually a position for a senior), he was selected by the faculty to become the co-Weather/Climate Director for NIU’s on-campus NWS cooperative weather station. This required the preparation of monthly data summaries (termed “eloquent” by one of his professors), taking 7 a.m. observations and responding to public inquiries. Brouillette is an outstanding student who is carrying an overall GPA of 4.00. He participated in an honors project in which he performed original research on 60-year temporal trends and inter-annual variability in extreme dew-point occurrence in Illinois. His results received very high praise, especially concerning his professionalism and writing style. He has been the recipient of numerous scholarships and awards and is viewed by the faculty as having an extremely bright future in the profession. The NWA Education Committee extends best wishes and good luck to Brouillette and all the individuals who applied. Daniel Pollak of Langhorne, Pennsylvania, and a junior at Pennsylvania State University has been awarded the first NWA Cassens / Phillips Family Undergraduate Scholarship in Meteorology. Daniel has a passion and interest in all facets of meteorology. As such, he is taking a wide variety of meteorology classes in which he has earned a GPS of 3.92. His undergraduate academic goal is to experience the breadth of the science, helping to combine all of his interests, diversify his outlook, and prepare him for more focused graduate school studies. As is the case with all NWA scholarship winners, Daniel doesn't just excel in the classroom. He has participated in several exciting and challenging projects and activities. He spent part of the summer of 2009 at National Center for Atmospheric Research studying flash flood risks in southwestern Missouri. He attained a research position with the Pennsylvania State Climatologists office and also worked in the State College National Weather Service office. If that was not enough high caliber extracurricular experiences, he was a member of a group of Penn State students who studied Volcanism and Evolution at a field school in Northern Tanzania. The course emphasized many field and laboratory techniques which made him realize how much he enjoyed the process and excitement of conducting research. The NWA Cassens / Phillips Family Undergraduate Scholarship for Meteorology is offered by Kathryn and Ryan Phillips of Hollywood, FL, and their extended family. It is supported by Sharon and Eddie Cassens of Spokane, WA and Patricia Phillips of Zanesville, OH. The NWA Education Committee received 7 applications from outstanding students from across the country for this scholarship award. Best Wishes to all individuals who applied! Congratulations again to Daniel Pollak! Elizabeth Thompson of Norman, Oklahoma, and a senior at Valparaiso University in Indiana, is awarded the Arthur C. Pike Scholarship in Meteorology. Elizabeth is an outstanding student who excels both inside and outside of the classroom. Her GPA is a powerful 3.986 and she has been recognized for academic excellence on numerous occasions. This included being the First Place winner of the NWA Annual Meeting Undergraduate Student Poster Presentation Contest held at the 2008 meeting in Louisville, KY. Of special note is that she was awarded a NOAA Hollings Scholarship in 2008. Her professors speak very highly of her, noting her strong work ethic, great attitude and maturity. Elizabeth seeks out additional responsibilities and professional experiences. She has served as a volunteer at the Baltimore-Washington NWS Forecast office and participated as an undergraduate in an inter-disciplinary air-quality research project. 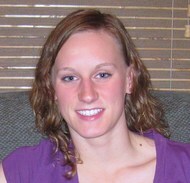 She is an active member of several organizations including excelling on the university swim team. Perhaps the best observation of her abilities and performance is summed up in a letter of recommendation received from a Valparaiso meteorology professor. He states, "Elizabeth is one of the most talented students we have ever had in our program." The NWA Education Committee received 14 applications from outstanding students from across the country for this annual scholarship award. Best Wishes to all individuals who applied! Congratulations again to Elizabeth Thompson! Vanessa Vincente of Chicago, Illinois, and a junior at Valparaiso University in Indiana is awarded the David Sankey Minority Scholarship in Meteorology. Vanessa has excelled in a wide variety of endeavors including academics, leadership and initiative. Not satisfied to just excel in the classroom, she has actively searched for activities which not only helped her education but also helped others, both in and out of the classroom. Vanessa has been awarded numerous awards and scholarships including nomination to serve as an observer and future undergraduate student representative for the AMS Board on Outreach and Pre-College Education. She strives to attend additional university lectures and conferences. She is a volunteer for an environmental organization teaching grade-school students about snow. She is a CoCoRaHS observer and actively involved in the student chapter of the AMS and NWA. She values leadership and teamwork which has been recognized by her professors. Her well rounded approach to college life is preparing her well for a very successful career in the science after graduation. The NWA Education Committee received four applications from outstanding students from across the country for this annual scholarship award. Best Wishes to all individuals who applied! Congratulations again to Vanessa Vincente! Lindsey R. Day of Sanford, Florida, and a junior at Florida State University is awarded the Dr. Roderick A. Scofield Scholarship in Meteorology. Lindsey is an outstanding student who was acknowledged by the faculty as the best student in her sophomore meteorology class. A 4.0 student, she strives to excel in her studies. She also has been awarded numerous FSU honors for outstanding student performance. She is focused in her interest in the science of meteorology wishing to concentrate on improving tropical cyclone forecasting, especially in the realm of storm intensity forecasting. Lindsey is far from being a one-faceted student. She has served as a resident assistant in a university dormitory where she has excelled as a leader. The position required attention to detail, a compassionate and caring personality and the ability to juggle multiple projects while supervising 38 students in the residence hall. Additionally, she has sought out additional professional experiences in the meteorology department by volunteering to produce a university television weather show, participating in forecasting competitions, and accepting an invitation from one of her professors to participate as an undergraduate in a meteorological research project. The NWA Education Committee received 21 applications from outstanding students from across the country for this annual scholarship award. Best Wishes to all individuals who applied! Congratulations again to Lindsey Day! 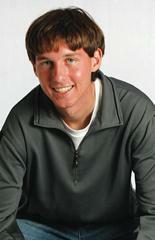 Richard Scott of Linden, Alabama, was awarded the first annual NWA Broadcast Meteorology Scholarship. Richard is a senior at Mississippi State University and has aspired to become a broadcast meteorologist from a very early age. While in high school, he realized that he could become an on-air meteorologist through a college degree in meteorology. He reached out to experienced on-air meteorologists for advice including James Spann of ABC 33/40 in Birmingham, Alabama. After graduating from high school, Richard approached Chief Meteorologist Wes Wyatt at WVUA-TV in Tuscaloosa, Alabama, and was rewarded with an opportunity to learn the behind the scenes aspects of broadcasting at the station. Based on his talents, he then was offered the opportunity to become the weekend weather anchor. While attending Mississippi State University, Richard drives the 80 miles to Tuscaloosa each weekend to anchor the weather broadcasts. The NWA Education Committee received five applications from outstanding students from across the country for this first annual broadcast meteorology scholarship award. Best Wishes to all individuals who applied! Congratulations again to Richard Scott! Joseph Battalio of Vicksburg, Mississippi, and a senior at Mississippi State University is awarded the AccuWeather Inc., Undergraduate Scholarship in Meteorology. Joseph is a talented, double major student at Mississippi State. He entered college with a great fascination for physics in which he decided to major. However, he also had a great interest in meteorology so he decided to major in both! He has earned a remarkable GPA of 3.98 in his college studies. His academic talents have earned him numerous awards, honors and scholarships. He has received high recommendations from the faculty. One described Joseph in the following way: "In my ten-years at MSU, there has not been a better student in the classroom." Joseph was selected as one of the few undergraduates involved in a normally graduate-only seminar in Advanced Computer Applications in Meteorology. This as a result of his striving to conduct research in computer modeling, concentrating on ways to improve the visualization of model output using three-dimensional surfaces instead of the standard two-dimensions. The NWA Education Committee received 28 applications from outstanding students from across the country for this annual scholarship award. Best Wishes to all individuals who applied! Congratulations again to Joseph Battalio! Please visit each individual scholarship page for a complete listing of winners.